American technology company, Google, through its video-sharing website, YouTube, launched the first-ever “YouTube Sub-Sahara Africa Creator Awards” on Friday. Held in Johannesburg, South Africa, the awards aimed to celebrate the continent’s talented creators who are featured on YouTube. “Tonight was about celebrating the award winners and creators you love, and all those who use YouTube to express themselves and who give a voice to Africa’s stories. Congratulations for telling it boldly! “ reads a post on the official Google Africa Blog. 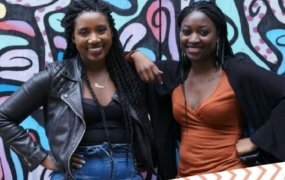 The blog notes that more African creatives are using YouTube to create and share content globally, while earning an income for their efforts. As a result, the number of hours of video content being uploaded in Africa has doubled over the past two years, resulting in larger audiences. This is consistent with another recent report by Opera, which notes that increasing internet access in Africa over the past decade has resulted in the faster adoption of technologies. Since 2012, visits to streaming video websites such as YouTube through the Opera Mini mobile application in Africa have surged by 36 percent. According to Vanguard, YouTube CEO, Susan Wojcicki, said that the awards are an acknowledgment of Africa’s talent and the company’s long-term commitment to the continent. Wojcicki said that to qualify, creators had to have a minimum of 50,000 subscribers and be residents in Ghana, Kenya, Nigeria, Uganda, Tanzania, South Africa, Nigeria, Zimbambwe, or Senegal. There were over 70 YouTube channels launched in these countries whose reach was over 100,000 subscribers. In total, 25 awards, divided into 23 categories were given out. Winners included Ann Kansime, who walked away with the Comedy Award and Top Subscribed Creator in Uganda, and Ghanaian rapper Sarkodie, who won the Top Subscribed Creator in Ghana. Mark Angel Comedy, a popular children’s show, won Top Subscribed Creator in Nigeria. Ibaka TV won the Top Subscribed Nollywood Channel. Relaxing harmonic channel, Yellow Brick Music, won the Top Subscribed Creator in South Africa. The stand-up comic program, Churchill Show, was the winner of the Top Subscribed Creator in Kenya.